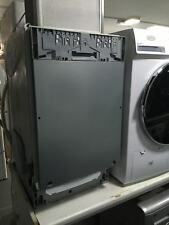 Neff S511A50X1G Integrated 60cm Full Size Dishwasher White - Install & Recycle. Neff Full-Size Semi-Integrated Dishwasher for sale. 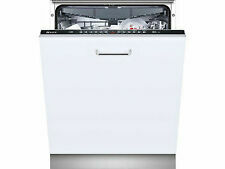 Neff Fully Integrated Dishwasher S511A50X1G. Condition is New. This machine has been fully tested and is in full working order. We can also dispose of your old machine if required. Half Load / Zone Wash Option Yes. Childproof Lock Yes. Number of Place Settings 12 Place Setting. Adjustable Plate Spikes (Lower Basket) Yes. Noise Level 52 dB. Height Adjustable Top Basket Yes. The driver will NOT assist you with moving the appliance into your property. Technical specifications for NEFF S511A50X1G Full-size Integrated Dishwasher. Box contentsNeff S511A50X1G Full-size Integrated Dishwasher. Designed to fit seamlessly into your kitchen, the NeffS511A50X1G Full-size Integrated Dishwasher is perfect for getting through your washing with a range of features. 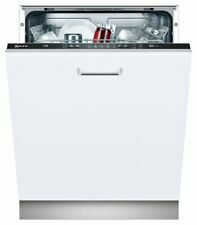 NEFF S513G60X0G Full-size Integrated Dishwasher. Quick wash: 60 minutes. 12 place settings. Noise level: 48 dB(A). Water consumption: 10 litres per cycle. Noise level: 52 dB(A). You can collect any item from our depot in Eccles, Lancashire. Quick wash: 29 minutes. 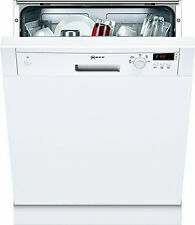 Neff S583C50X0G 45cm Fully Integrated Stainless Steel Dishwasher. Half Load / Zone Wash Option No. Why this Product is Graded. Condition: Unused Graded. There are number of reasons that a product may be graded:-. 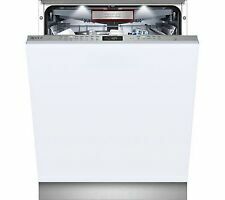 New unboxed Neff S513G60X0G Integrated Dishwasher. The item may be a factory second, or a new and unused item with minor defects. Pictures supplied for illustrations purposes. Manufacturer Part Number (MPN): S513G60X0G. Noise level: 48 dB(A). You can collect any item from our depot in Eccles, Lancashire. Quick wash: 29 minutes. Designed to fit seamlessly into your kitchen, the Neff S511A50X1G Full-size Integrated Dishwasher is perfect for getting through your washing with a range of features. Designed for low levels of energy consumption, the S511A50X1G Dishwasher is rated A for energy efficiency. Dishwasher Size. Example picture The driver will take it off the lorry but can not take it in the house. This item will be unboxed, bubble wrapped and bound to a pallet. 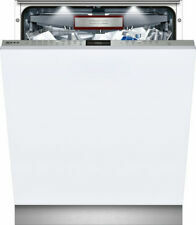 Neff S511A50X1G 60cm Built In Fully Integrated Dishwasher with door Open Assist. Model S511A50X1G. Neff EfficientSilentDrive Yes. Type Built In Fully Integrated Dishwasher. There are number of reasons that a product may be graded:-. Noise level: 46 dB(A). You can collect any item from our depot in Eccles, Lancashire. Model S41E50W1GB. Neff Full SizeSemi Integrated Dishwasher. Or you can collect from Rochdale, Lancs. Type Built In Semi Integrated Dishwasher. Colour : White trim. Child Lock. This dishwasher has been tested and is in full working order. 14 place settings. Noise level: 46 dB(A). You can collect any item from our depot in Eccles, Lancashire. Isle of Wight, Isle of Man, Northern Ireland, Scottish Highlands and other surrounding offshore areas. For health & safety reasons, ovens and cookers must be installed by a qualified electrician or qualified gas engineer. Brand new with full manufacture warranty, not yet registered. Out of box but never been used. Pricing and availability. You will have the option to extend it to 24 months or 36 months. If your product is covered by either 12 or 24 months manufactures warranty OUR extended warranty will NOT start until the manufactures warranty has ended. Neff S41E50W1GB Semi-Integrated Dishwasher, White. AquaStop® This function protects the inlet and outlet hoses from any leakages. The safety valve prevents any more water from entering the dishwasher and overflowing, even when the machine is off. Quick wash: 60 minutes. Noise level: 46 dB(A). You can collect any item from our depot in Eccles, Lancashire. The Neff EfficientSilentDrive motor makes for quite operation, and NeffSparkle glass care system takes extra-care of your delicate pieces. This dishwasher is especially flexible with a range of different baskets and trays that can be adjusted, removed and rearranged. 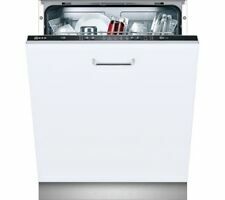 Neff S513K60X0G Full-Size Integrated Dishwasher. Brand new, box damaged. ModelNeff S513K60X1G. Neff Full SizeBuilt In Dishwasher. Or you can collect from Rochdale, Lancs. As this dishwasher is new not boxed I have had a look, I could not see any marks that will be seen when installed, see photo's. With the EcoSilence drive you'll be able to clean your plates without having to put up with a noisy dishwasher. The S41E50W1GB performs quietly and efficiently, making it ideal for open plan spaces. Please click on Read more to see full item description. Get 10% off with code PRO10 plus FREE recycling! Scotland, Wales, BA, BH, BS, CF, DT, EX, NP, PL, SN, SP, TA, TQ, TR. BA, BH, BS, CF, DT, EX, NP, PL, SN, SP, TA, TQ, TR, Wales and Scotland. With NewLife Appliances, you automatically receive free warranty on all products as advertised on the item. Give your dishes the perfect clean with this semi-integrated dishwasher from Neff. This uses a gentle spray system to thoroughly but gently clean your glassware, leaving them sparkling. With an Efficient SilentDrive, this dishwasher is really quiet as well, which makes it great for open plan living. Neff EfficientSilentDrive. Colour of indicators: Red LED indicators. Large item spray head, including Steam protection plate. Republic of Ireland (all). Northern Ireland. Scilly Isles. Isle of white. Isle of man. Type Built In Semi Integrated Dishwasher. Why this Product is Graded. Condition: Unused Graded. There are number of reasons that a product may be graded:-. We are based inLeicester 10 minutes drive from Junction 21 of the M1 motorway. ModelNeff S515T80D1G. The S515T80D1G dishwasher from Neff is a quiet and versatile option that's sure to make dishwashing easier than ever. The top basket can be adjusted between 3 height positions and contains 6 foldable plate racks and 2 foldable cup shelves. TypeFull-size semi-integrated dishwasher. Child lockYes. Self cleaning filterYes. Number of programs5. Number of wash temperatures4. Water consumption per cycle9.5 litres. Energy consumption per cycle1.02 kWh. 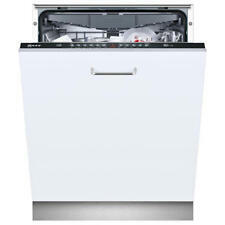 Neff S515T80D2G 60cm Fully Integrated Dishwasher with Door Open Assist (Designed For Handleless Kitchens). Technical specifications for NEFF S515T80D2G Full-size Integrated Dishwasher. Box contentsNeff S515T80D2G Full-size Integrated Dishwasher. TypeFull-size integrated dishwasher. - Large item spray head, including Steam protection plate. Number of programs5. Number of wash temperatures5. Adjustable prongsYes. Power consumption in standby0.1 kWh. (A) All of our products are NEW they have never been used on even switched on! Unlike others, we buy in bulk therefore we can pass these savings on to you! A) Of course! You can choose from different ranges of makes, sizes and models!